When most people imagine the most common causes for car accidents, they likely think of drunk drivers or distracted drivers. They may think of speeding drivers. 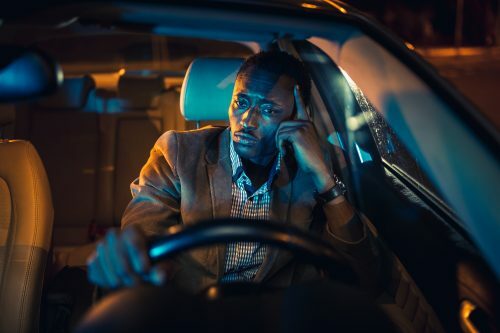 While these are all dangerous and do cause plenty of car accidents, there is another serious issue that more drivers should become familiar with: Drowsy driving. Study after study has shown how dangerous it is to drive while drowsy. In fact, it is one of the top causes of car accidents in the state. Exhaustion can significantly raise the chance of an accident and it is up to drivers to know when they are safe to drive. Just How Serious is Drowsy Driving? Not only is this a serious problem, but many people do it. According to research from the American Sleep Foundation, about half of all drivers report having gotten behind the wheel while drowsy in the last month. About 20% of people admit that they have fallen asleep while driving at some point in their lives. All of this while the danger of drowsy driving is becoming increasingly understood. Some of the latest research indicates that if a person drives after not sleeping for 20 hours, they are as impaired as a person who gets behind the wheel with a blood alcohol concentration of .08 percent. Being drowsy prevents a driver from being able to focus, makes it harder for them to react to hazards, and makes smart-decision-making harder. The more tired a person is, the more dangerous they are. One of the biggest issues with drowsy driving is that people do not realize the signs of being drowsy. If you are yawning then you are likely too tired to drive. If your eyes are red, if you are having trouble focusing, then it is best not to drive. If you have been injured in a car accident that was at least partially the fault of someone else, then now is the time to contact The Law Offices of Larry H. Parker at 602-340-0030 for a free legal consultation. We can consider the facts of the case, look at the evidence, and offer you a comprehensive legal opinion on what your options are. If you have grounds for a case, and we agree to take it, we will do so on a contingency basis that assures you do not owe us a penny until we have won your case.